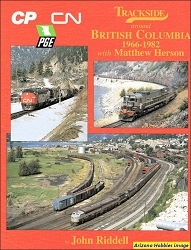 This book is a cross-Canada tour as seen from the train and of the train over many years. There are some advertising reproductions, maps, and diagrams. The text of the book is in the form of extensive captions for the photographs. The book is a bit pricey for a 90-page softcover book, but all the photographs and illustrations are in color. 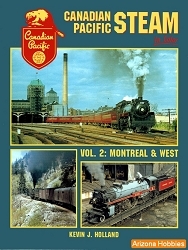 Ira Silverman's lifelong awe with the transcontinental CANADIAN began with his first trip on the train in 1964. He has since ridden The CANADIAN over 40 times, taking care to document every trip with his trusty camera in hand. 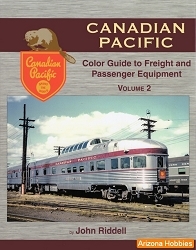 With full-color images spanning 1964 through 2018, this book is a photographic album of the history of one of the longest-lasting and most graceful streamlined trains in North America. The Gabeley Publishing Company, softcover, 90 pages, 8.5 x 11 x .25 in., all Color photographs. 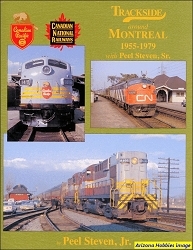 Trackside Around Montreal 1955-1979 with Peel Steven, Sr.